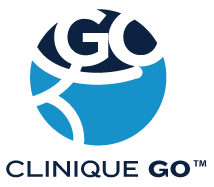 Clinique GO™ offers in-home massage services in Montreal, including Greater Montreal, Laval, Longueuil, Monteregie and the North Shore of Montreal. Massage therapy has been practiced for hundreds of years by ancient civilizations, in particular by traditional Chinese medical practioners. Massage therapy has largely increased in popularity over the past years with more and more spas and health centers opening up. Although usually associated with relaxation, massage therapy offers many more benefits besides from reducing stress. Massage therapy is a completely natural form of therapy using mostly hands, elbows and feet. It uses different techniques like kneading, brushing and applying pressure to relieve aches and pains. Massage therapy can be used to treat pain linked to the musculosketal system as well as improve overall body functions and quality of life. A massage therapist is able to detect tensions affecting your body due to shock or a fall, fatigue, poor posture, etc. With massage therapy these tensions will fade away. Why use Clinique GO™’s in-home massage therapy services? Relieve chronic pain like back pain or pain in the neck or shoulders, etc. What does a massage therapy session entail? Your massage therapist will need to complete a medical questionnaire with you to better understand the reason for your visit, as well as your overall health. This way they will be able to tailor their treatment to your needs. Massage therapy uses several techniques such as kneading and applying pressure. Your massage therapist will combine different techniques and varying levels of pressure and speed to provide the best treatment possible for you. Who can benefit from in-home massage therapy? People of all ages can benefit from massage therapy sessions. As mentioned before, massage therapy can help with many aches and pains. Massage therapy can help you whether you are an adult suffering because of poor posture or an elderly person with blood circulation issues. Children too can benefit from our therapeutic massages. Athletes find masssage therapy particularly helpful in alleviating pain after an injury or for overcoming stiffness for example. Which areas do our massage therapists travel to?